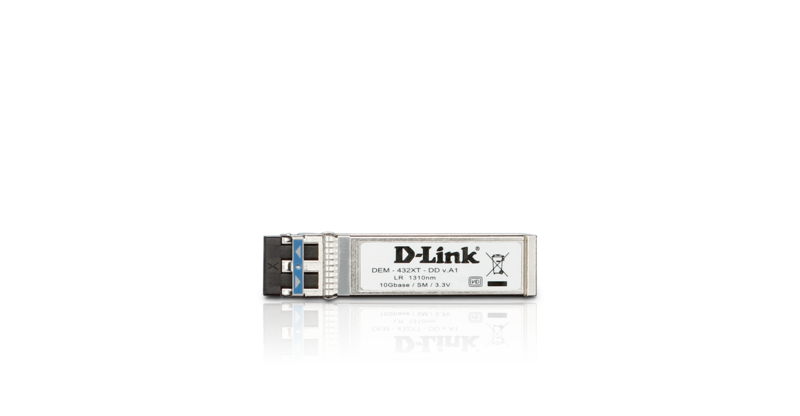 The D-Link 10GBASE SFP+ Transceivers offer customers a wide variety of 10Gbps Ethernet connectivity option for data center, enterprise wiring closet, and service provider transport applications. Compared with existing 10G XFP, 10G SFP+ is with smaller form factor, with lower cost, lower power dissipation, and allows higher port density. 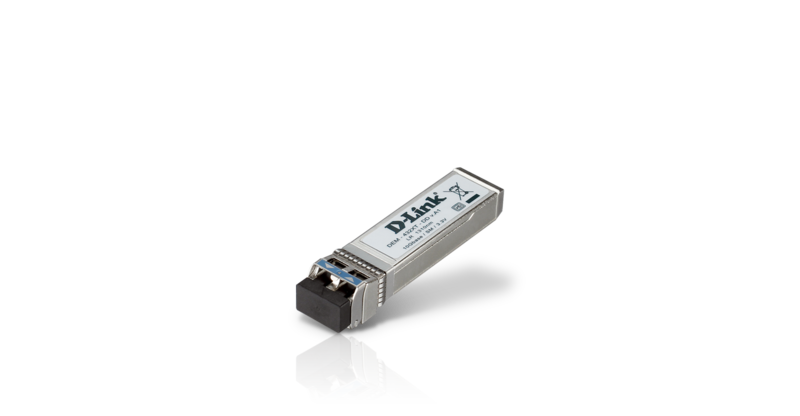 The DEM-432XT-DD is a 10GBASE-LR high performance 1310nm Single-Mode SFP+ transceiver with Digital Diagnostics Monitoring (DDM) support. It supports full duplex, 10Gigabit speeds on Single-Mode fiber for distances of up to 10Km. DDM allows Real time monitoring of critical device parameters including: bias current, transmit & receive power, temperature, and voltage. The DEM-432XT-DD is hot pluggable and is backed by a standard 2-year product warranty and free technical support.